In order to foster memories and contacts among former classmates and friends, we are making our contact list available to those on the list. The link below will take you to the desired spreadsheet with our most current information. To prevent unauthorized access to this information, the sheet is password protected. Please use the password provided to you via email. Call or email if you need help. - or any other such items. Also: When sending mail to multiple recipients, it is becoming preferred practice to send the email to yourself with "blind copies" to your recipients. This helps reduce the impact of the current epidemic of proliferating email lists. S - means that we sent a letter but have had no response yet. X - means that the letter was returned as undeliverable or we otherwise learned that the address is invalid. G - means that we heard back or know otherwise that the address is Good. M - means that the address is good and updates are requested via regular mail. The list is sorted by class year, then by current last name, then by first name. You can resort or modify the list any way you like but you will not be able to save the modification back to the website. If you would like to make a correction, deletion or addition, please send us an email. If you are looking for a particular name and don't know the class year, you can use the search function by pressing CTRL-F (F stands for "Find"). 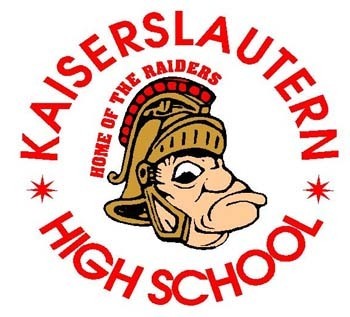 Note: If the last name used at KAHS is different than the current last name, the former name is usually given in parentheses after the first name, so the earlier name will not be in alphabetical order. We encourage you to look through the list and feel free to contact friends and classmates. If appropriate, encourage them to join us at the reunion. - You see any of your information on the list which you would rather have removed. Finally, see my comments on the "links" page below concerning the classmates.com website.